Sony’s Little Big Planet 3 for the Playstion 4 is out today, Nov 18th. The game was developed by Sumo Digital in the UK. I was commisioned to create music for one of the levels, the “old-skool russian steampunk” space-rocket level. The score is dynamically mixed and structured by the game engine depending on gameplay. Here is a 90 sec excerpt where most of the elements appear. t’s not usually this busy during gameplay but gives a sense of content and tone. After unlocking the level the music is available for use and remix in building your own levels and worlds. 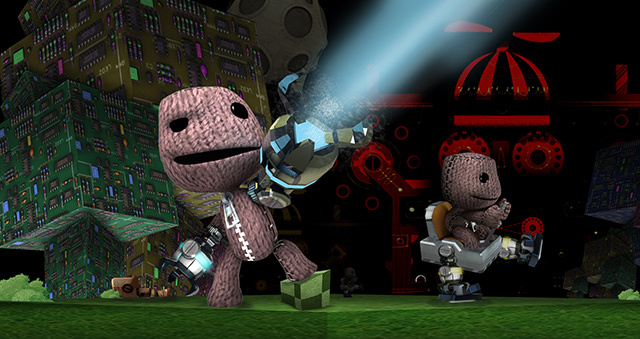 Little Big Planet is out now everywhere on Big Little Planet, and of course through the Playstation store and websites. Ugress turns 18. You get presents. Listen right here or in Spotify, Bandcamp, Youtube, Apple Music, Google Play, Amazon.